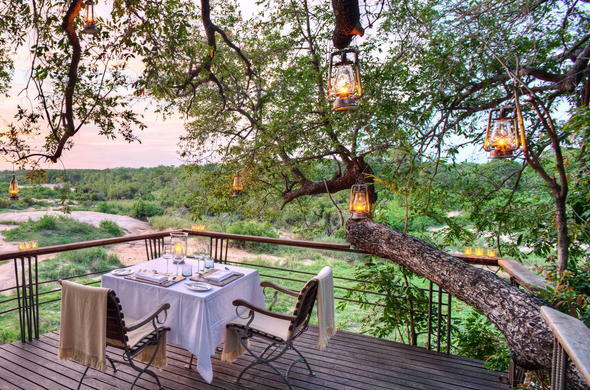 These Luxury Honeymoon Packages in Sabi Sands Private Game Reserve provide for the ultimate romantic getaway. 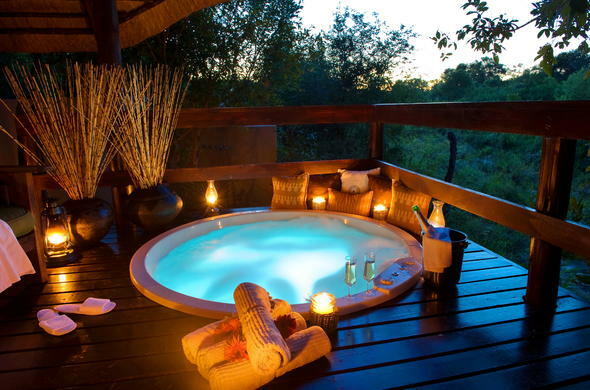 Today more and more couples are opting for a romantic safari in the 'Out of Africa' tradition for their vacation. Newlyweds are using their honeymoon to get close to nature. Africa is a place that burns with passion. Reward yourselves with a wonderful and romantic honeymoon. 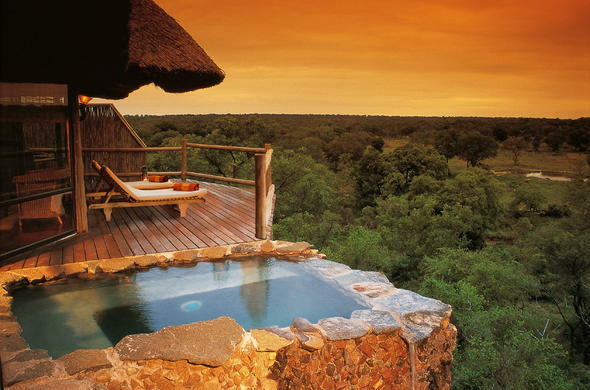 Romantic Safari Why not enjoy your first romantic retreat as newlyweds on an African safari in Sabi Sands Private Game Reserve with this secluded getaway where the private sundecks and rock plunge pools ensure an extra romantic touch. This Room With A View safari provides one of the best romantic travel and honeymoon destinations. Exclusive Honeymoon Make your romantic retreat really memorable with this One Of A Kind safari in Africa where contemplation decks and private swimming pools add intimacy to the experience and allow you to affirm you love for each other. 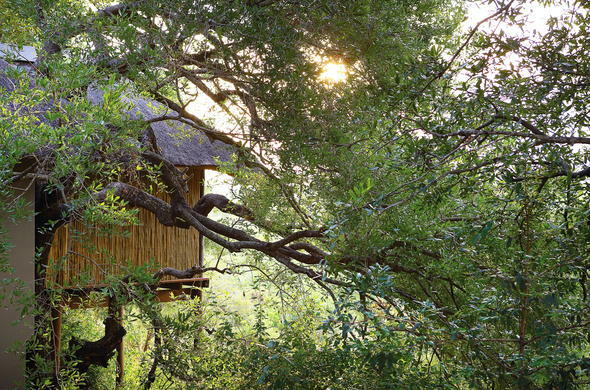 Each suite is tucked away in the trees to add to an unforgettable honeymoon experience. Romantic Seclusion There is no better way to relax after the organisation and planning of your wedding day than with the Romantic Seclusion safari in Sabi Sands Private Game Reserve. Enjoy the private decks and heated spa baths of this romantic and secluded honeymoon retreat. This Luxury Sabi Honeymoon safari is a must for the romantic at heart, with its beautifully positioned rooms, each with private pools and salas looking out over the bush. With more and more couples opting for honeymoon packages, Africa is coming to the fore and providing a popular honeymoon destination. Premier Honeymoon Package allows you to take ownership of your own little piece of Africa. With only four secluded rooms at the lodge this, each with private swimming pools, this romantic getaway is the perfect place to celebrate your honeymoon or anniversary and to reaffirm your love for one another.